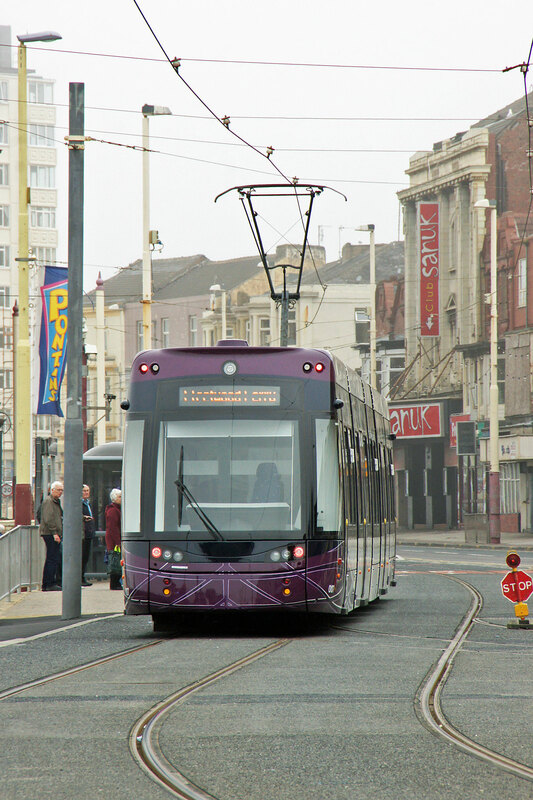 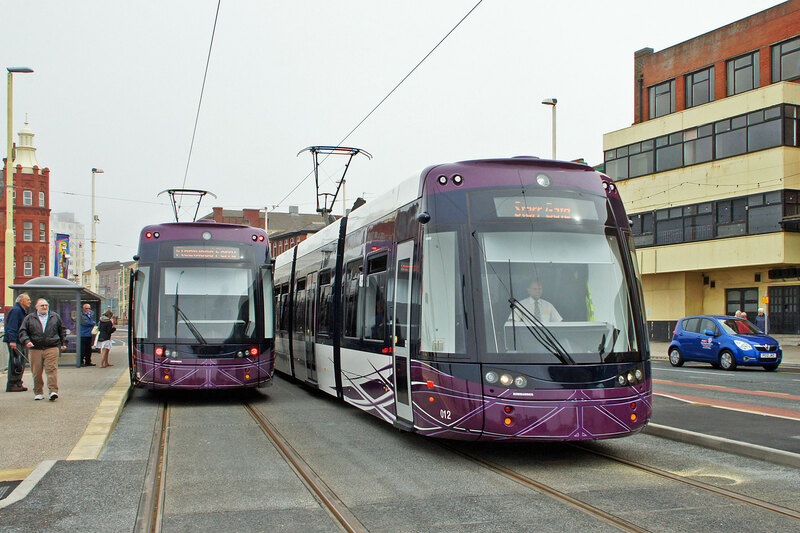 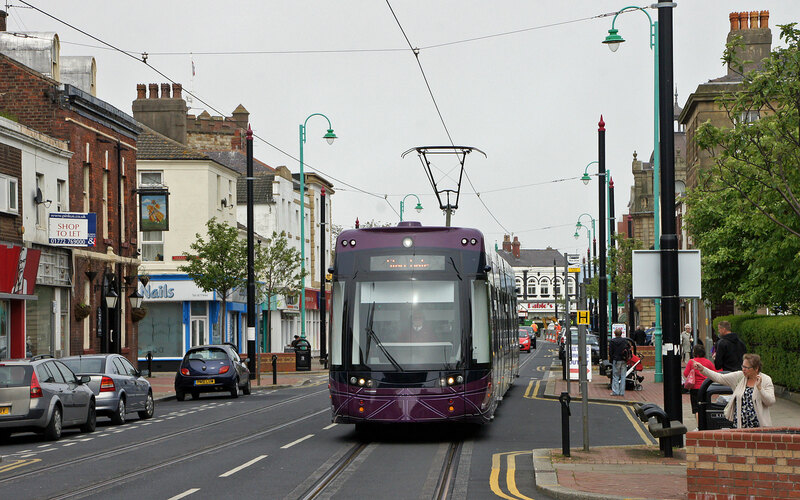 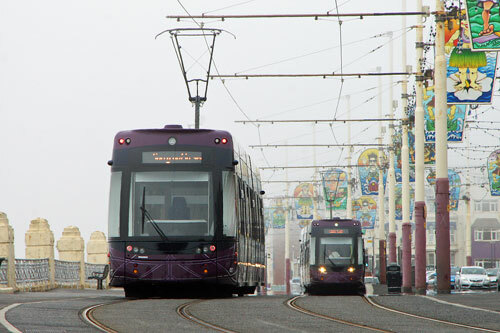 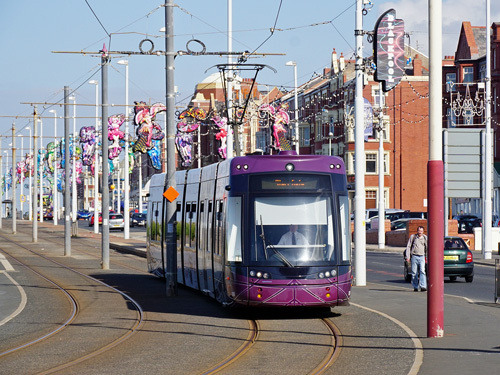 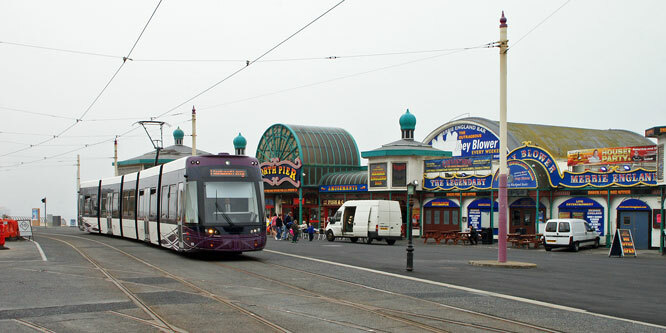 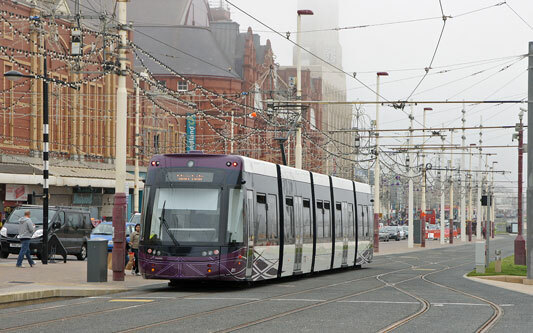 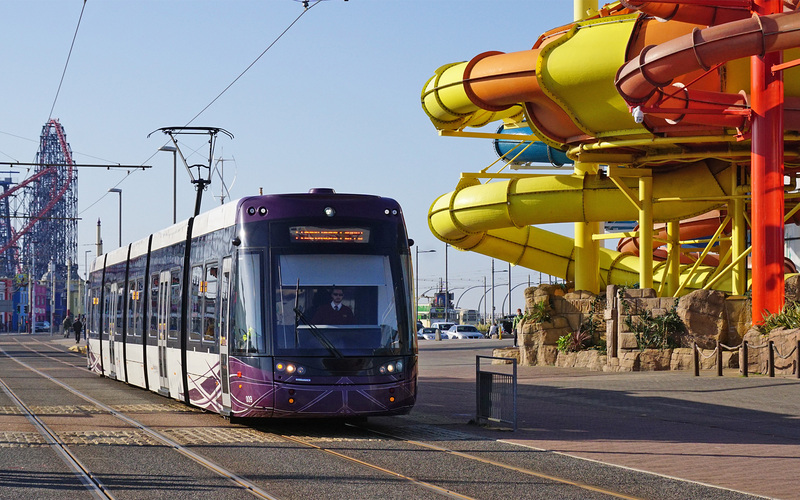 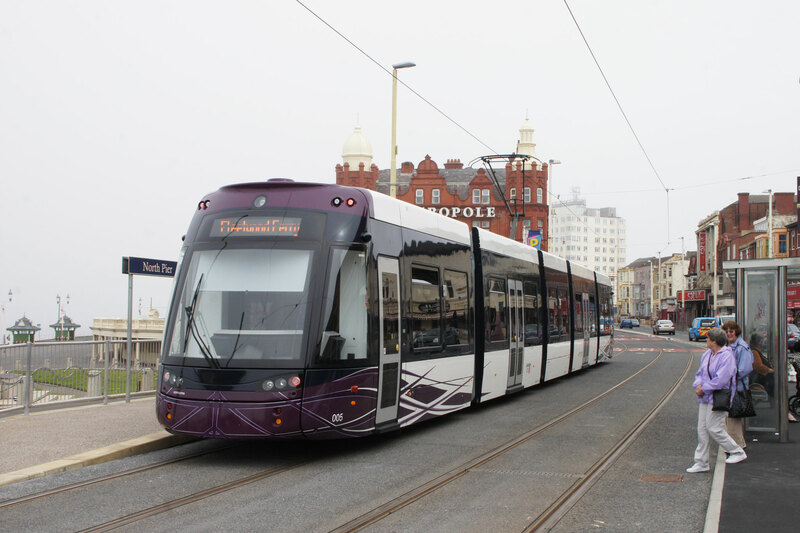 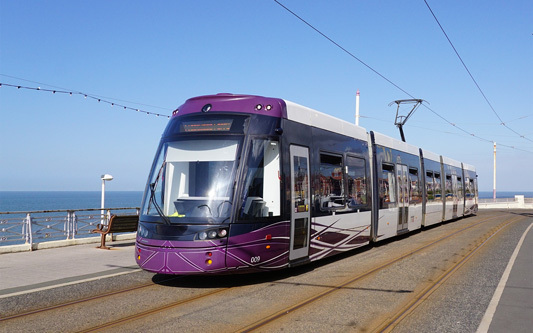 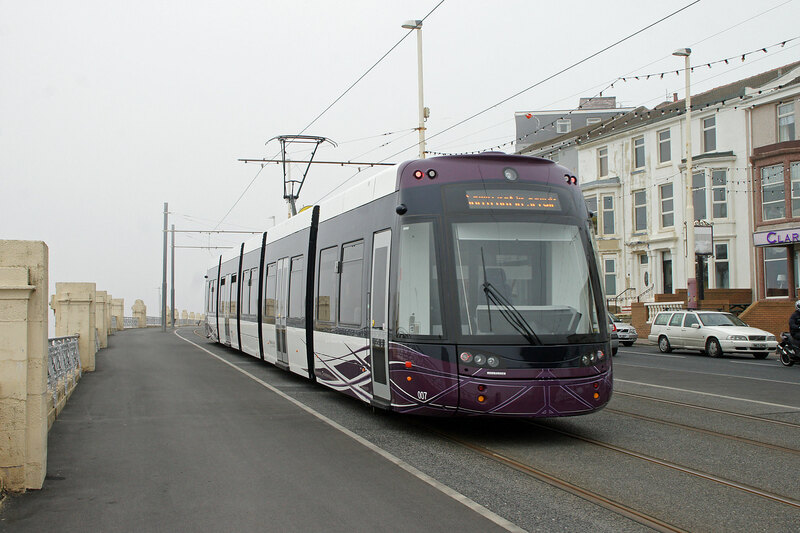 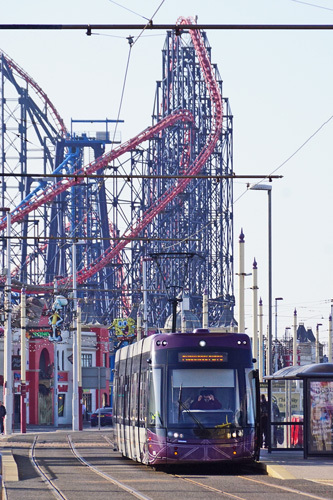 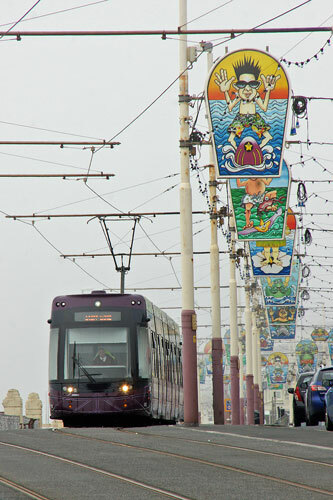 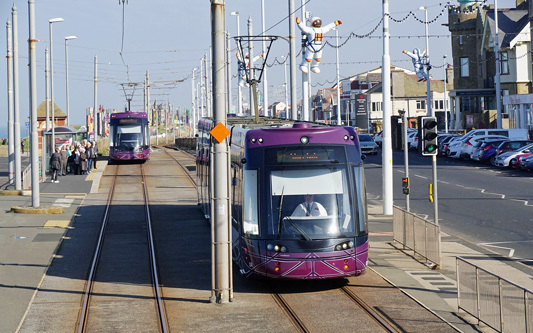 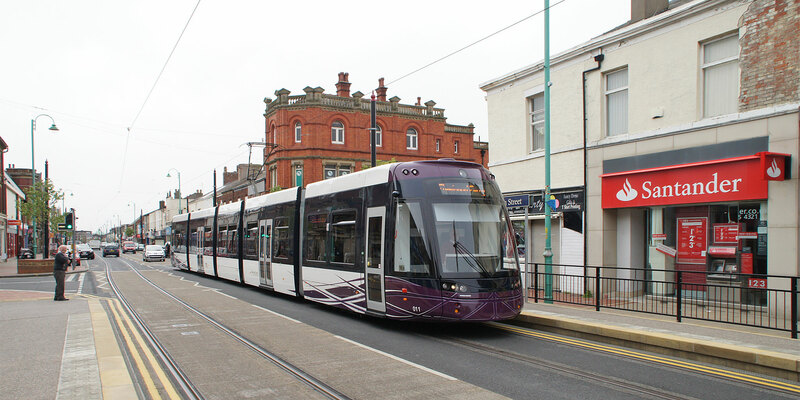 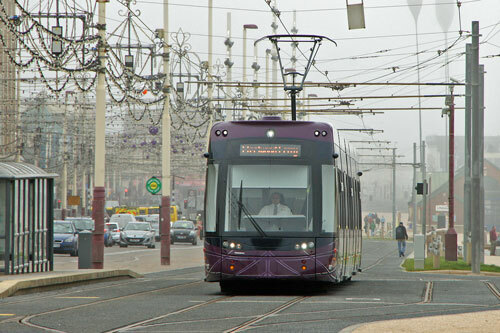 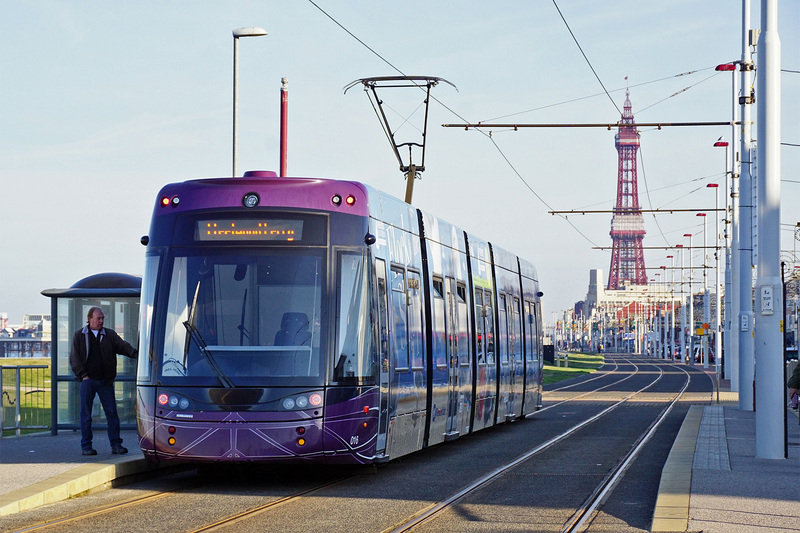 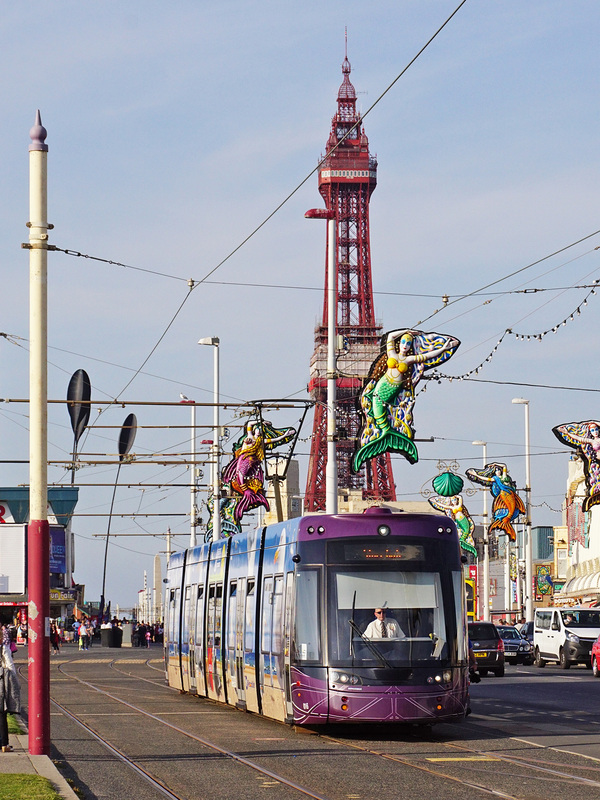 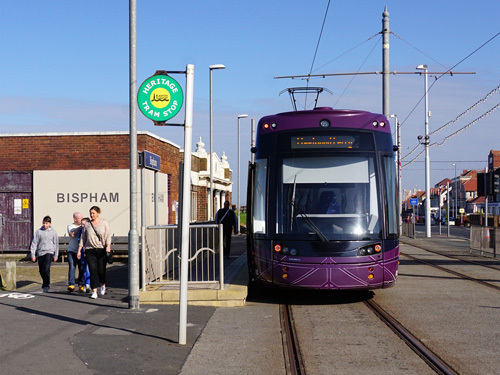 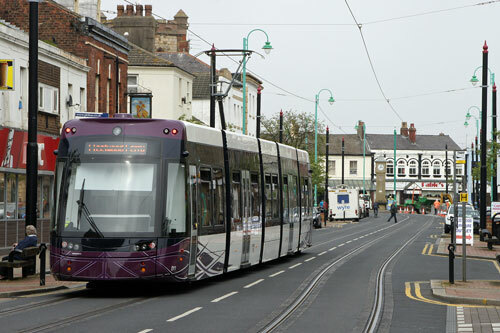 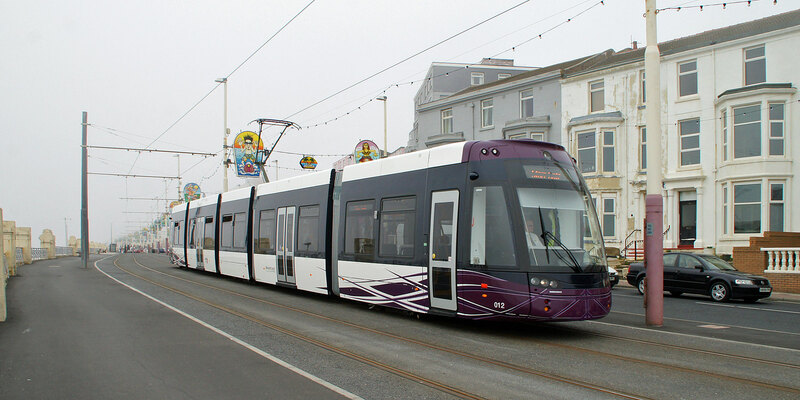 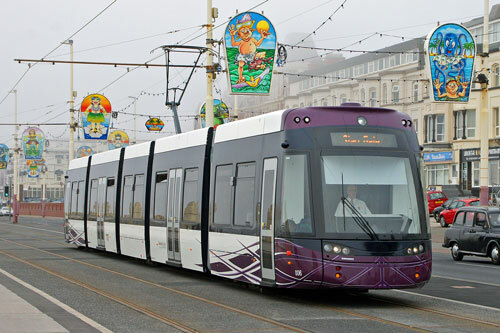 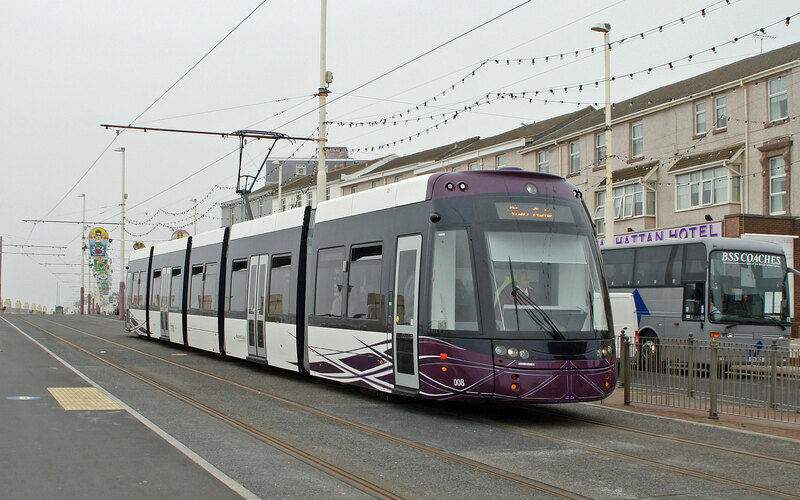 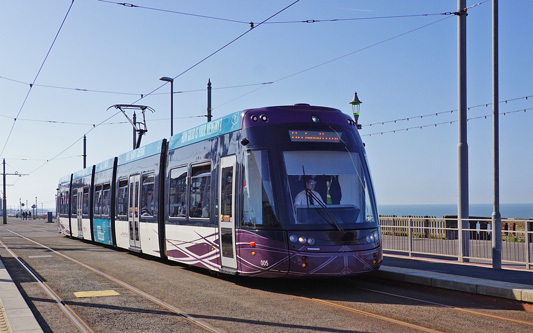 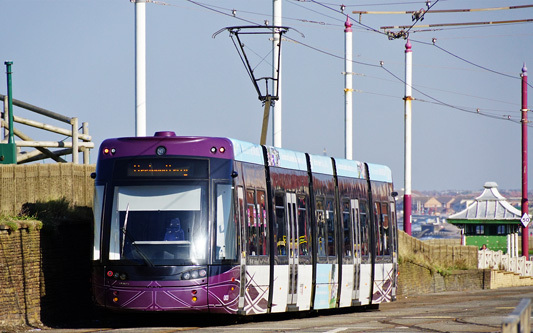 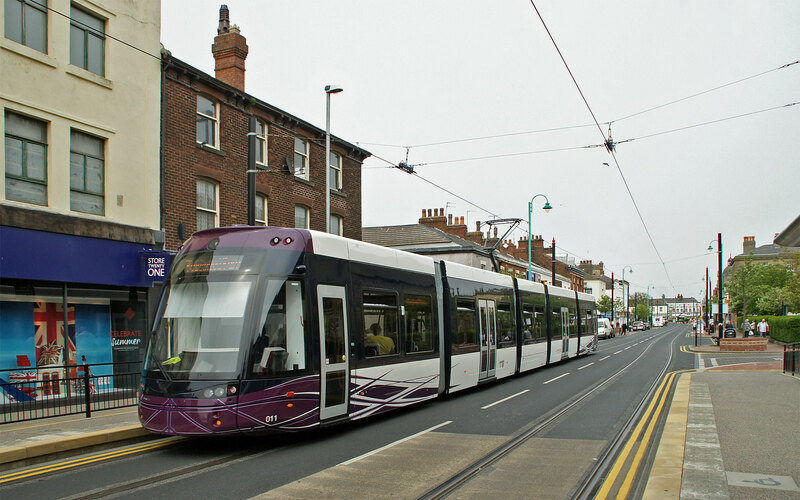 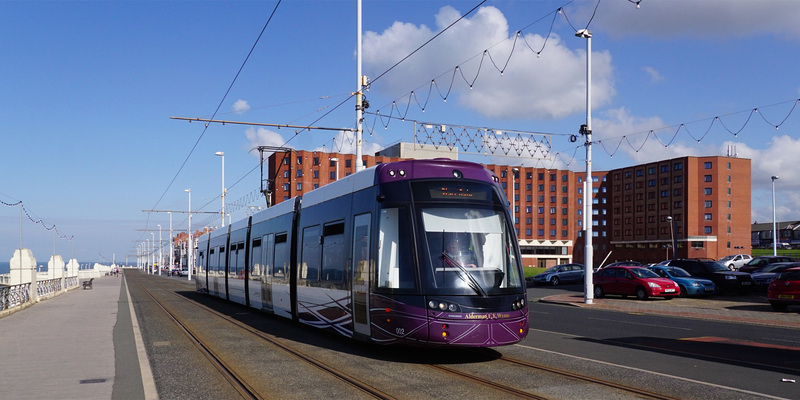 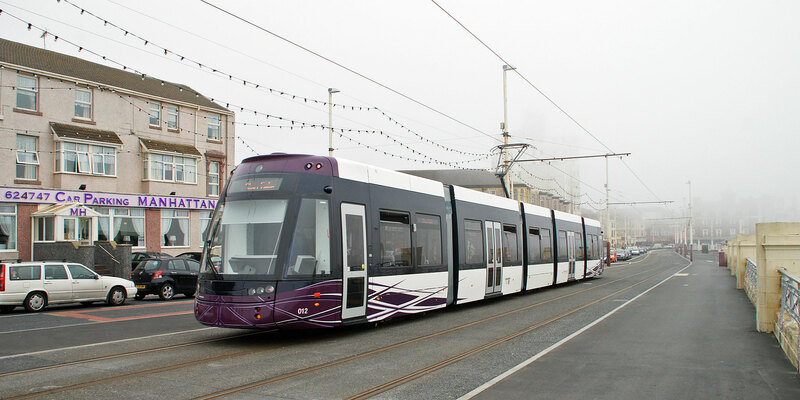 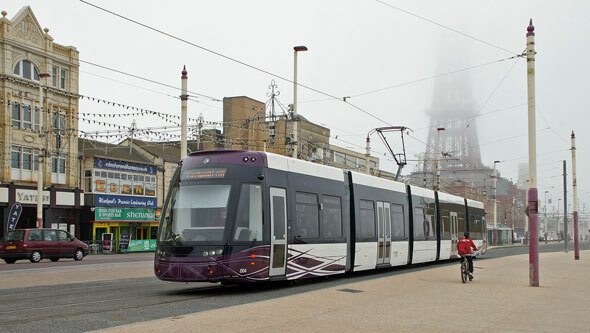 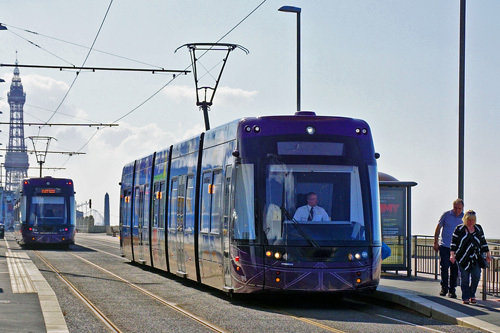 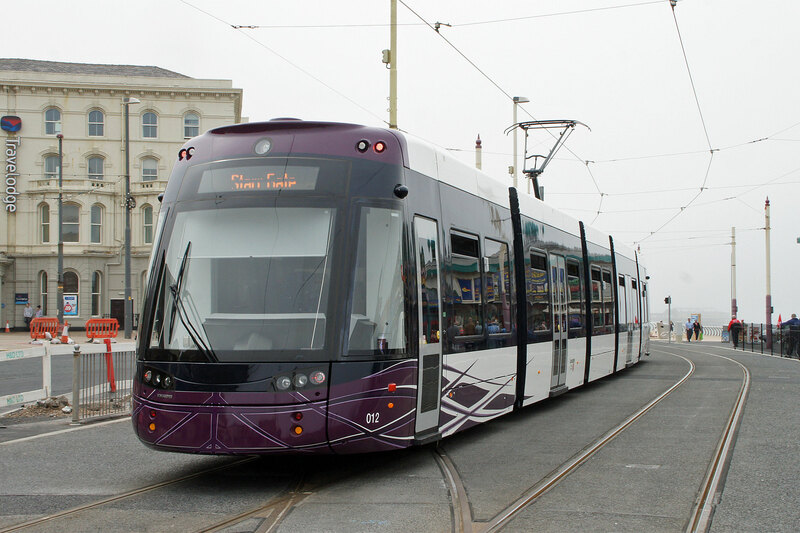 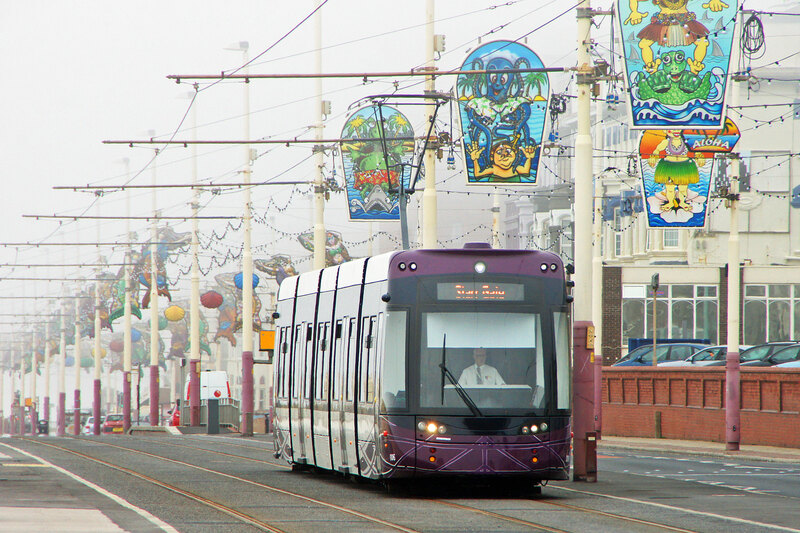 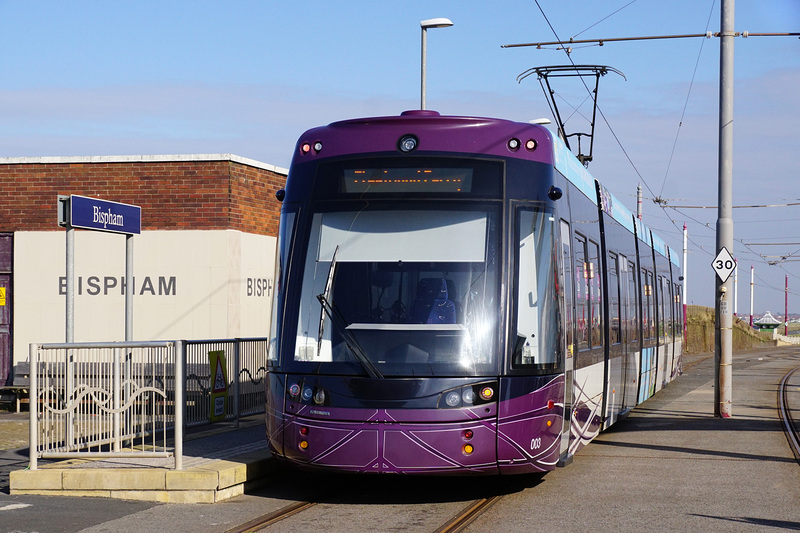 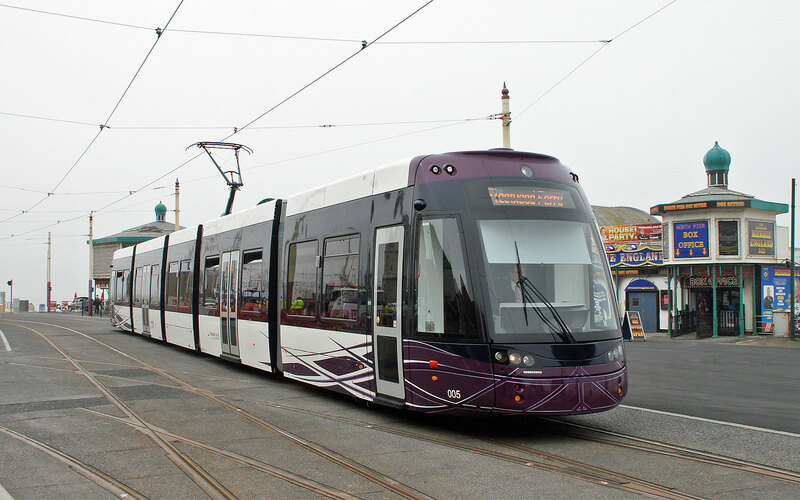 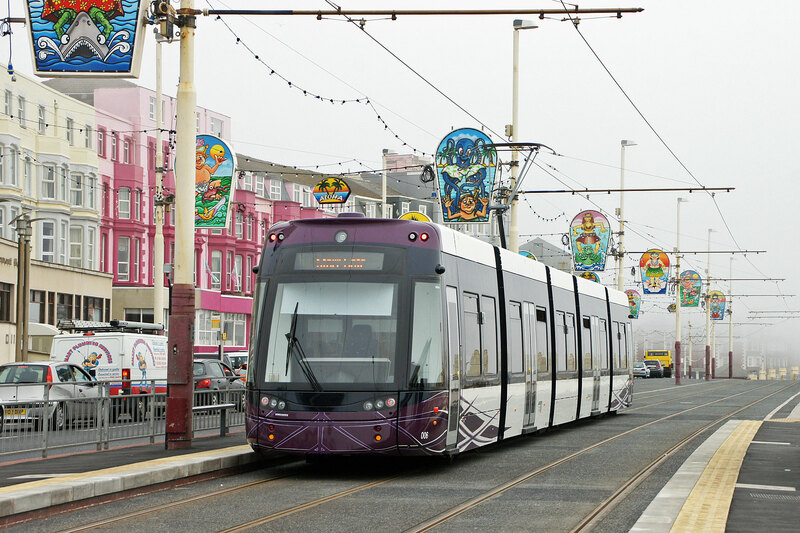 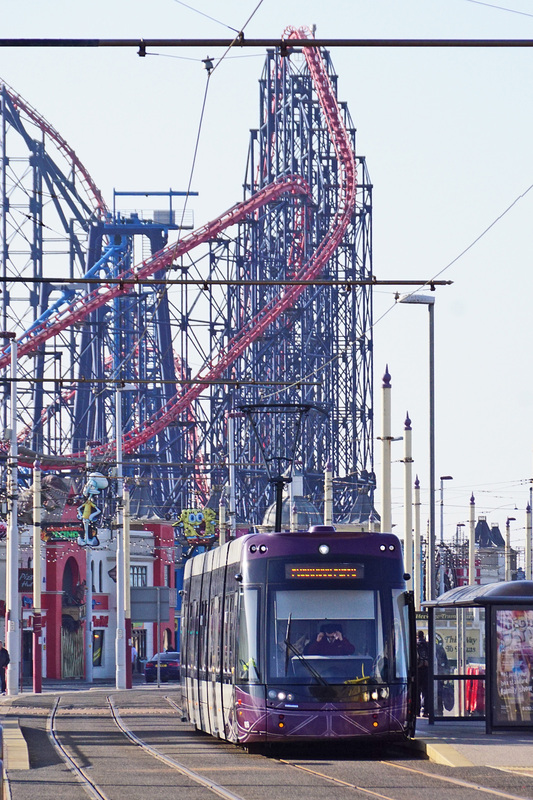 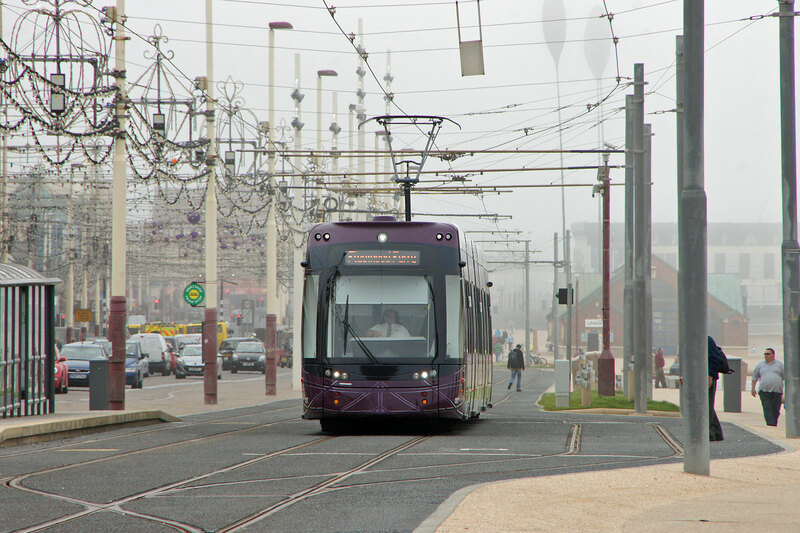 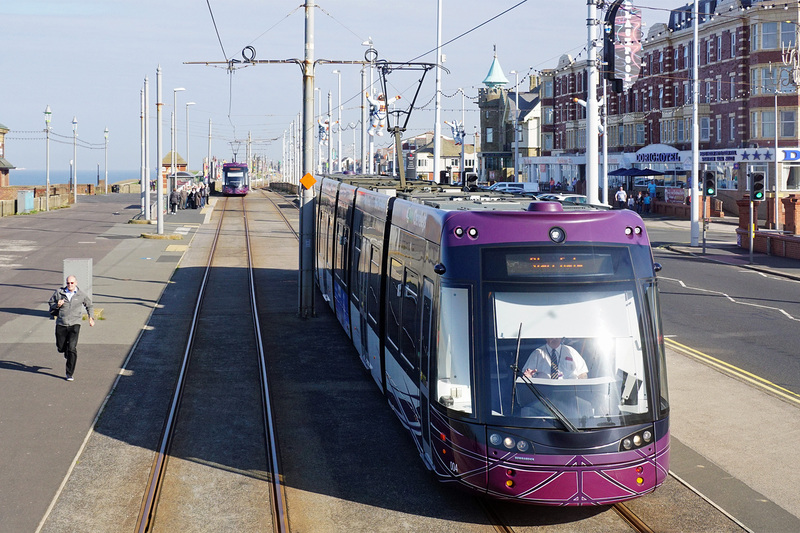 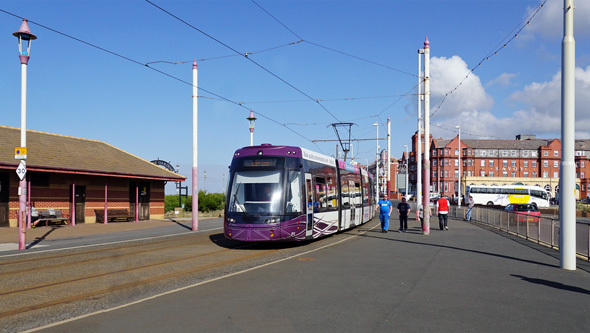 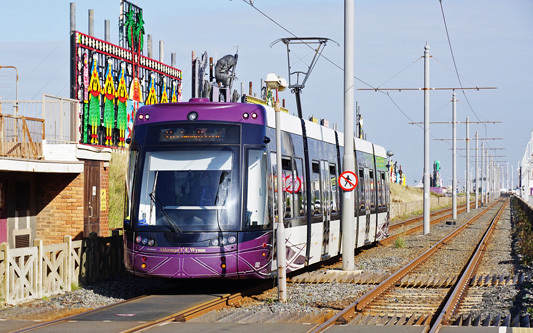 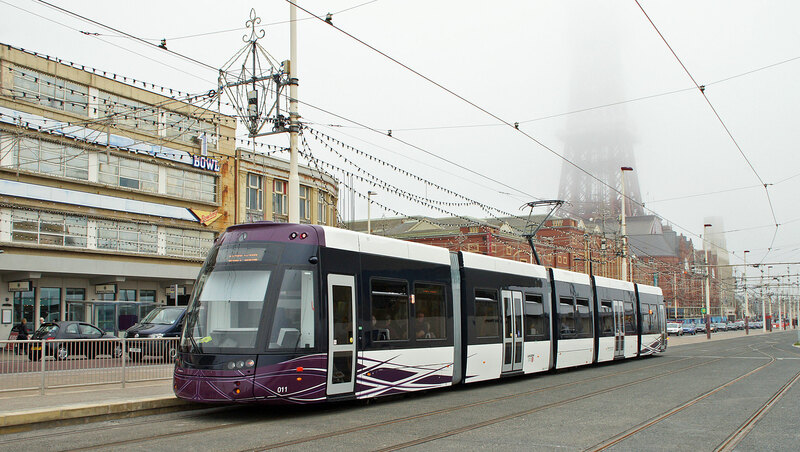 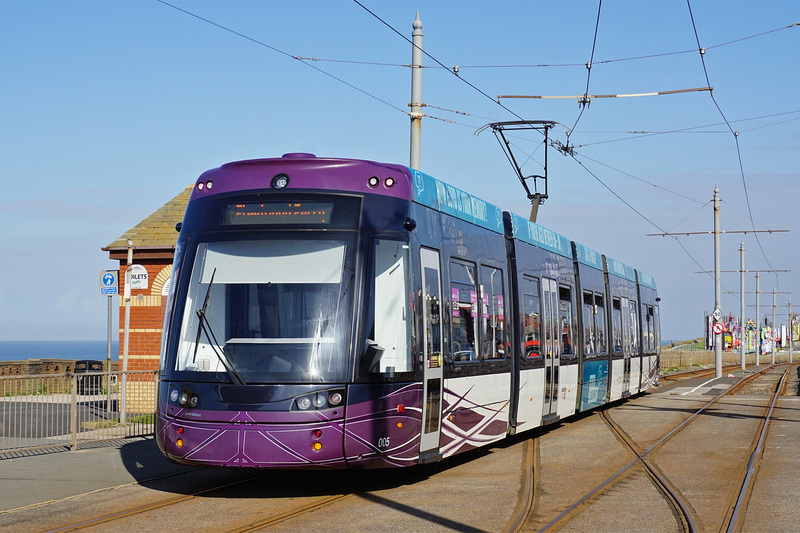 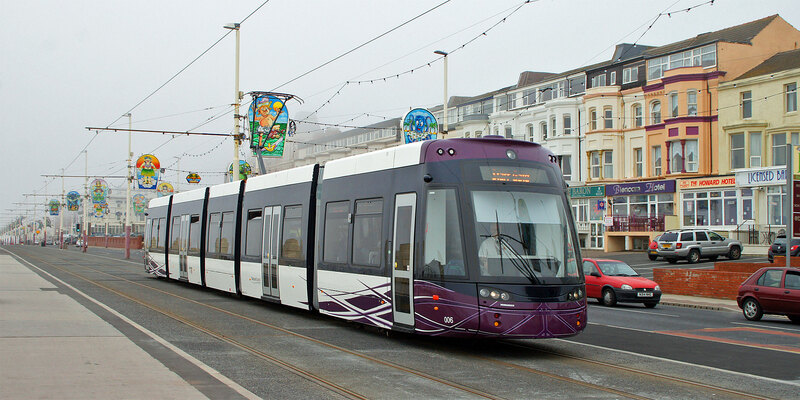 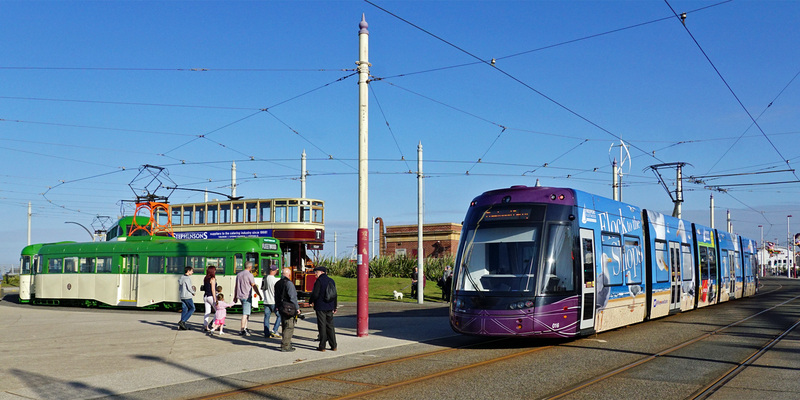 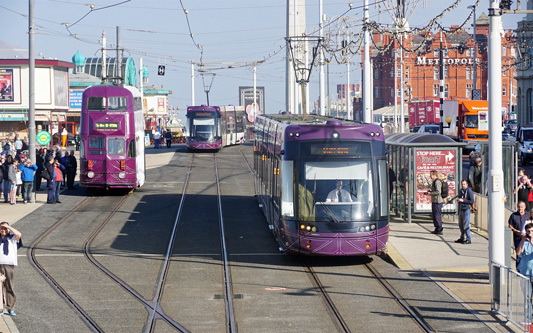 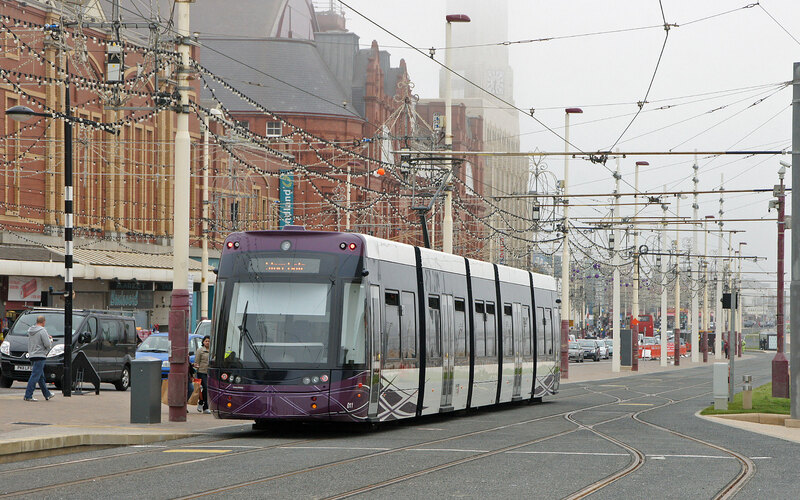 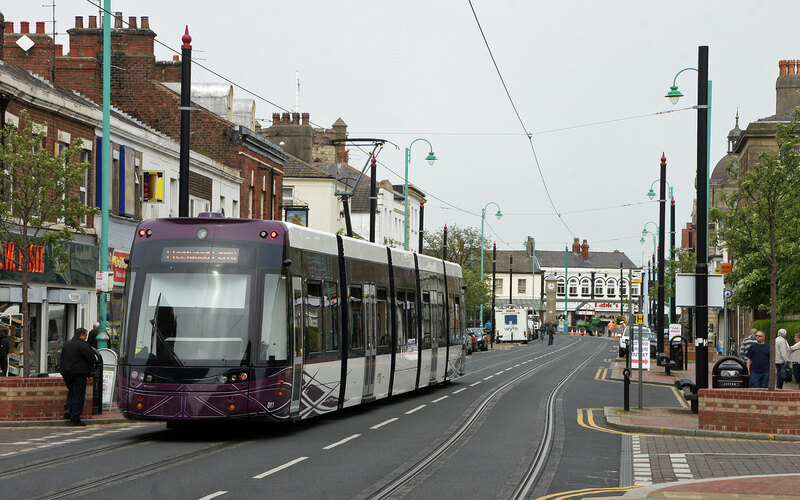 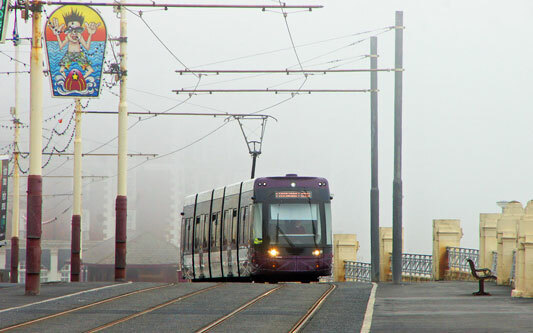 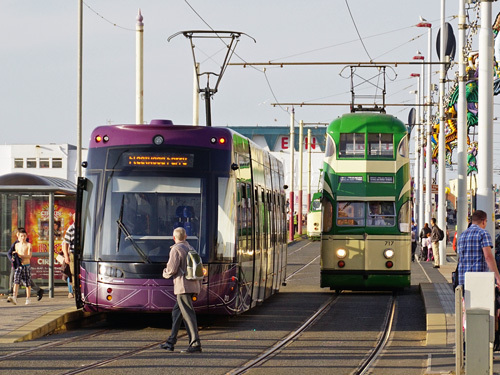 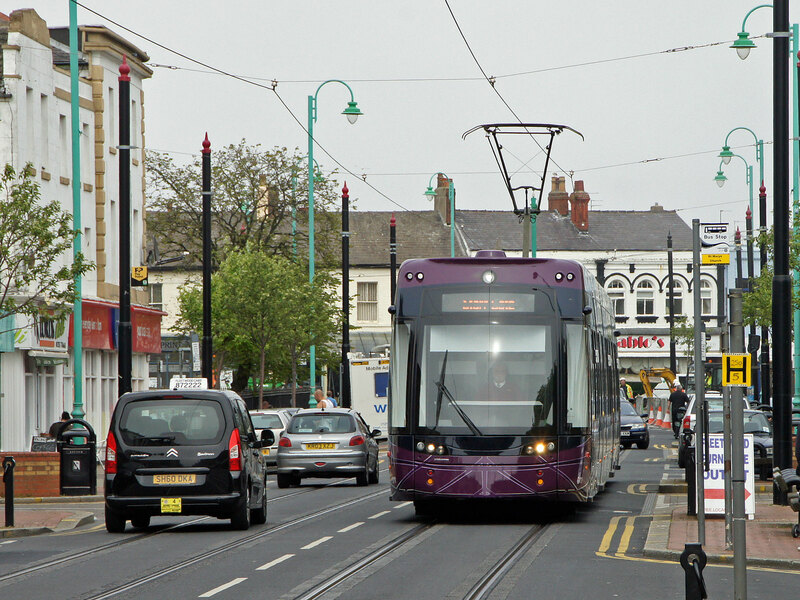 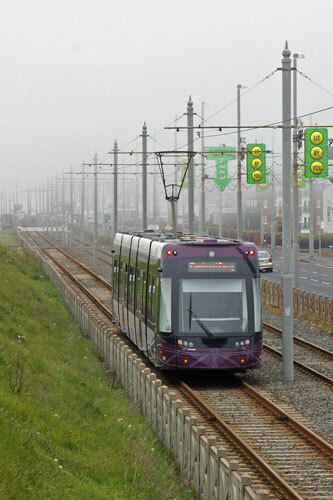 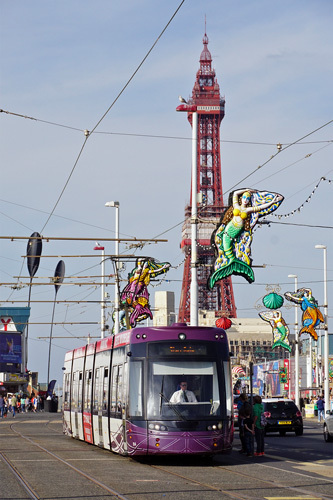 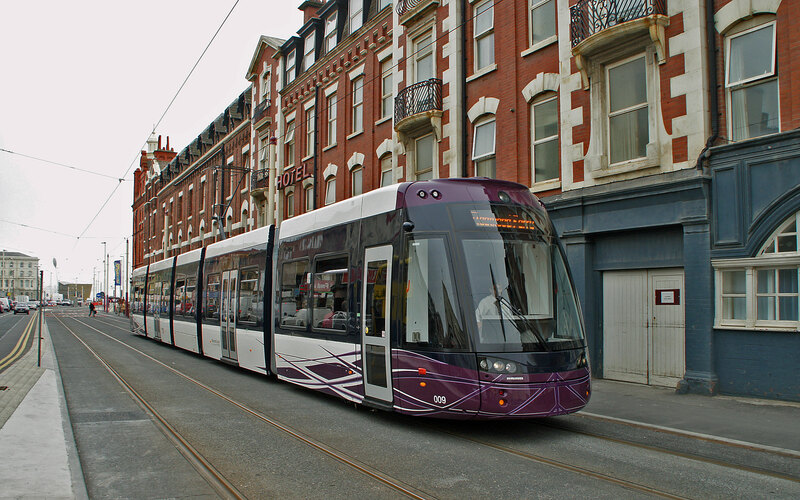 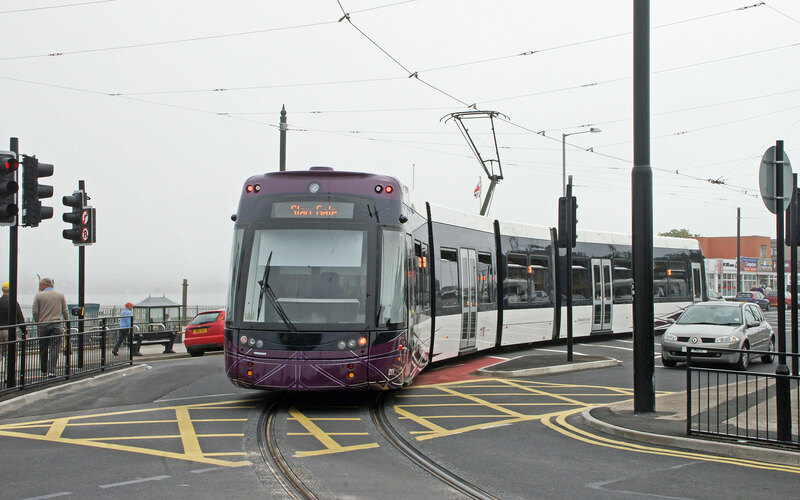 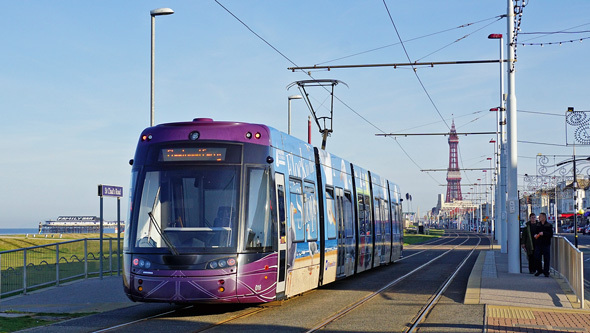 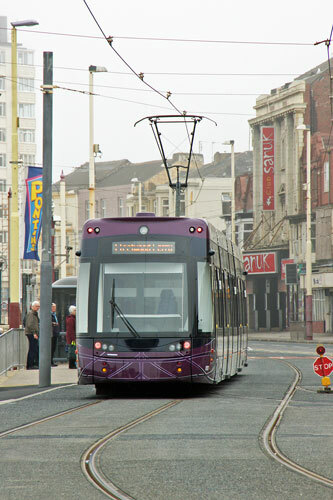 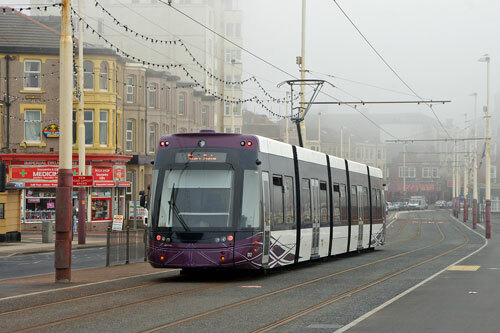 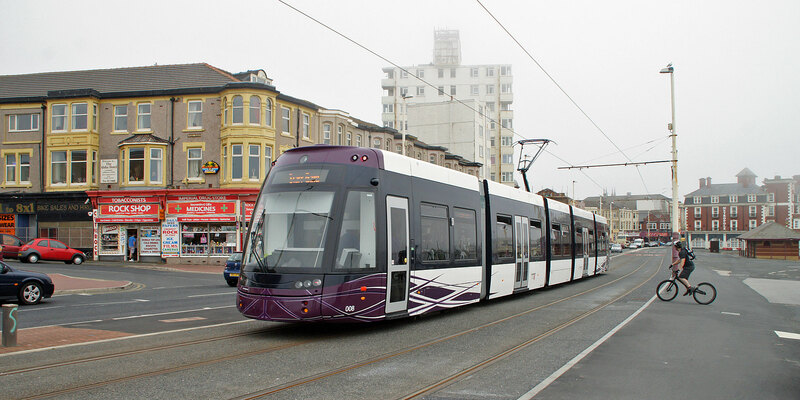 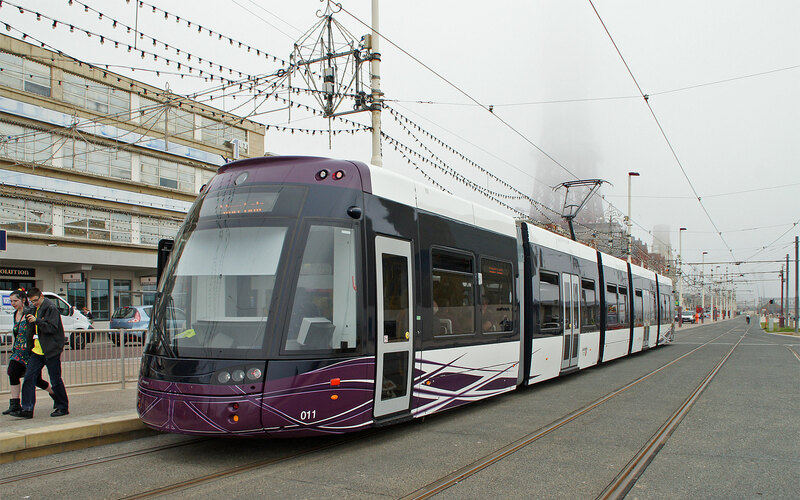 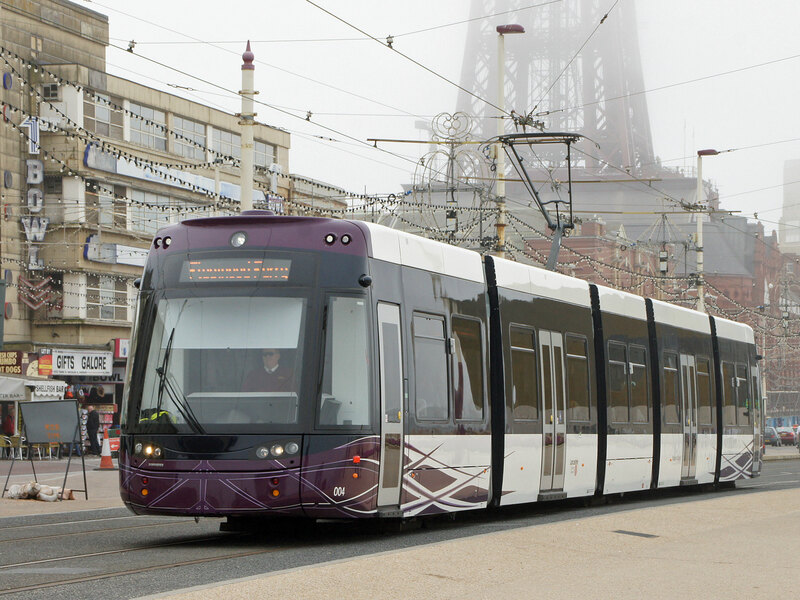 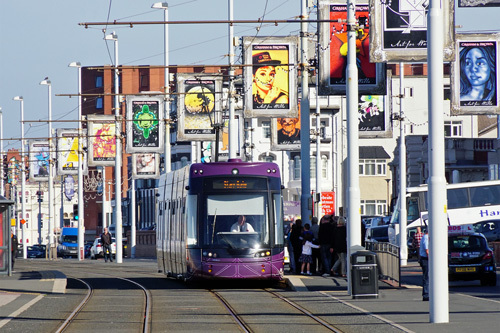 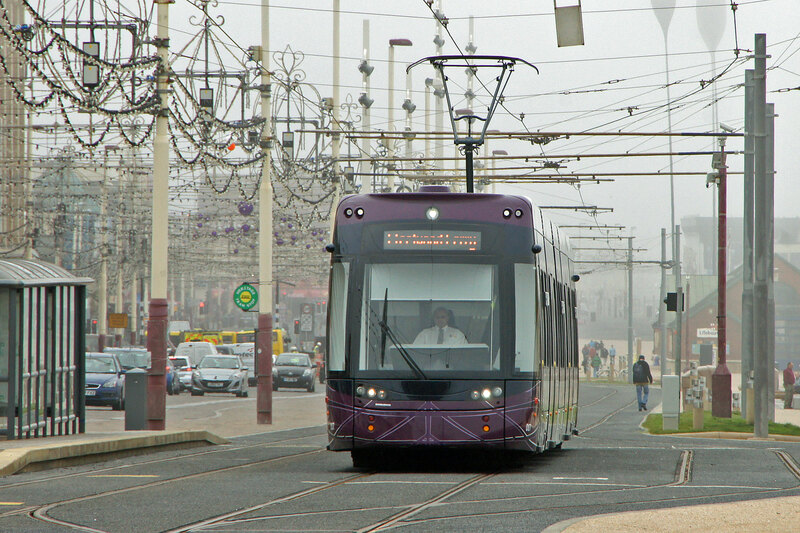 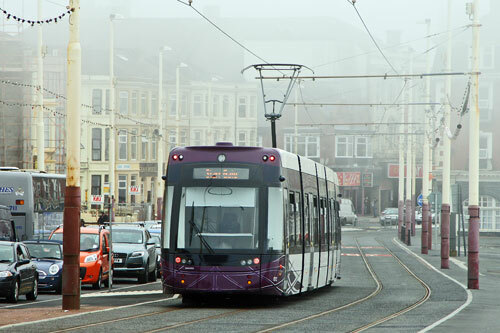 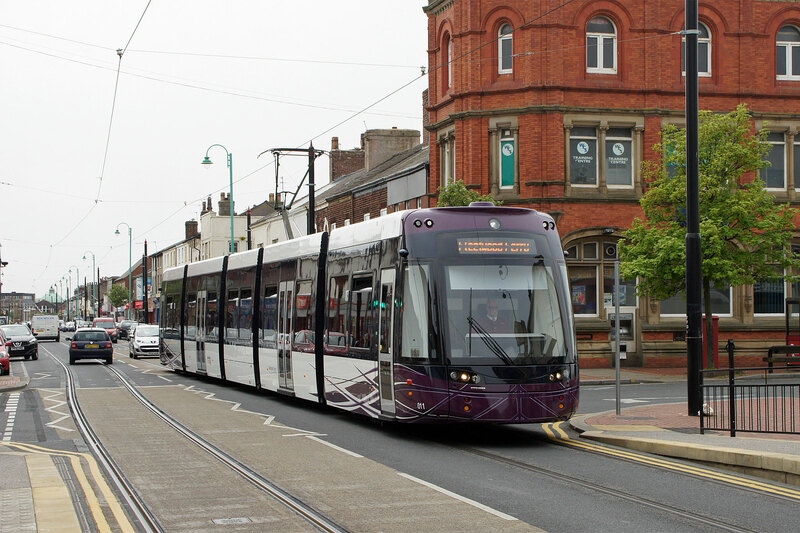 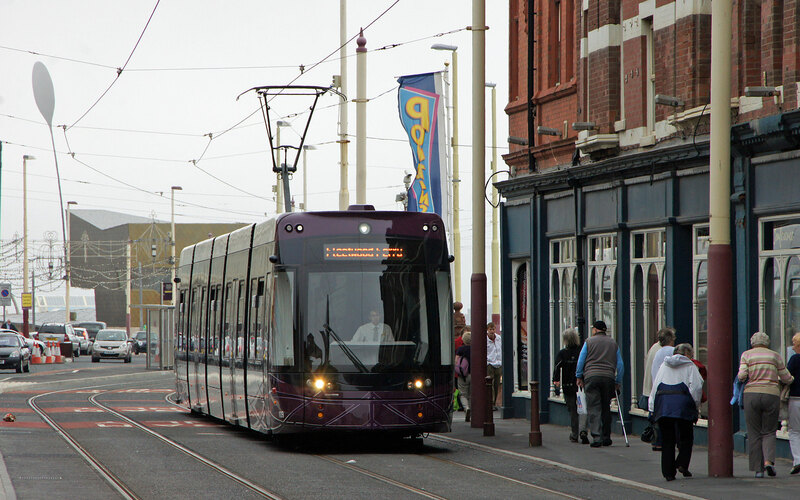 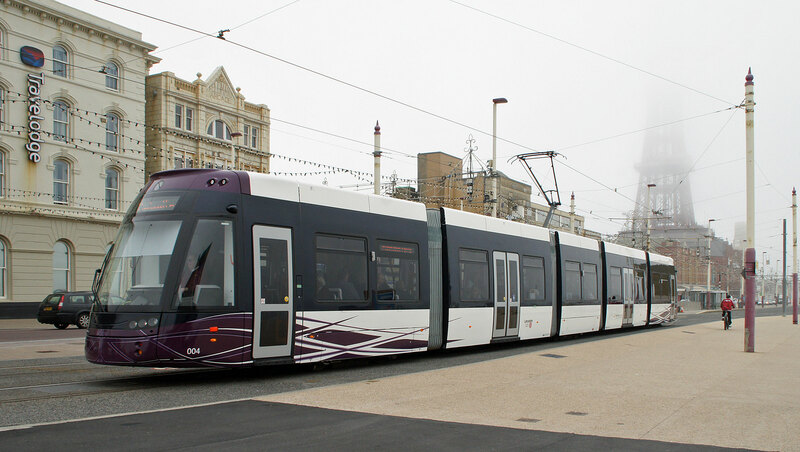 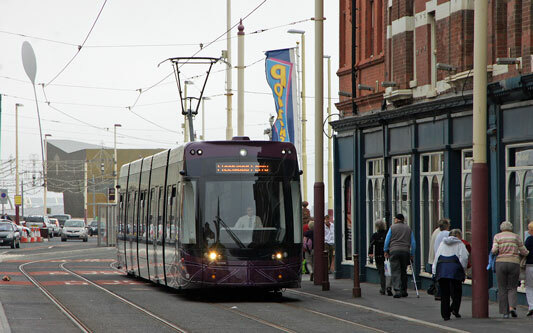 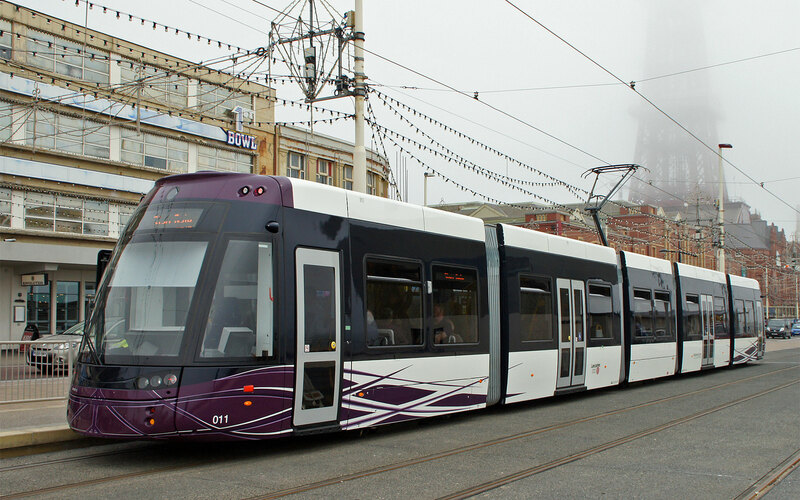 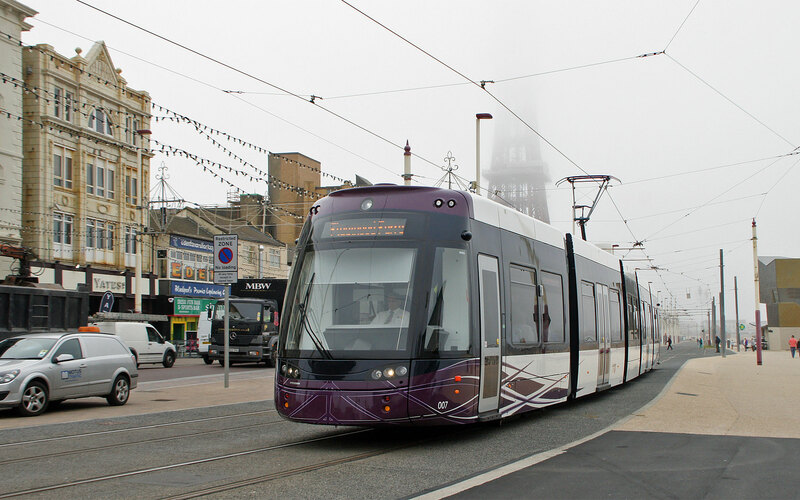 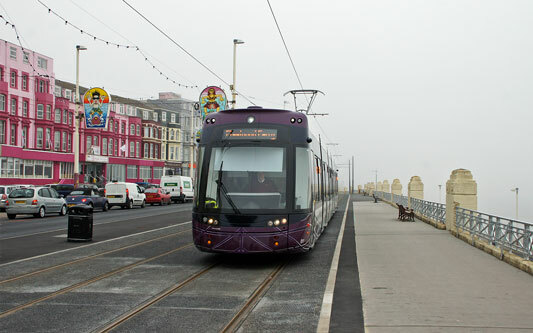 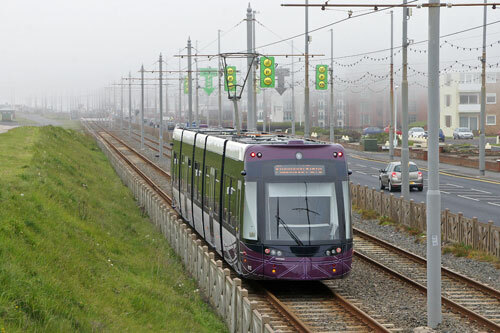 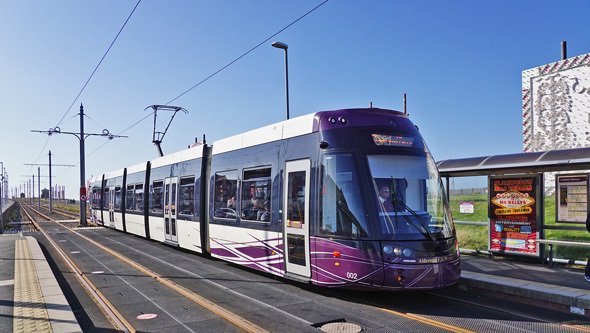 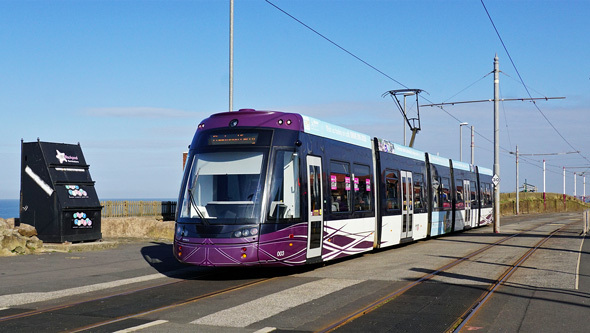 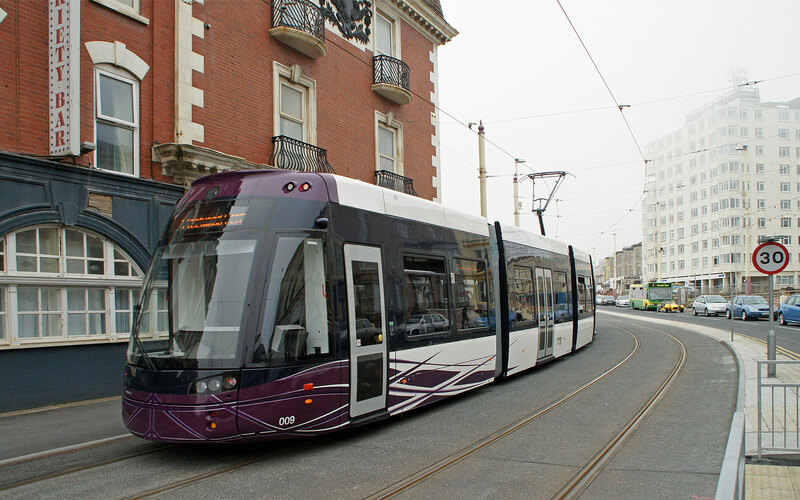 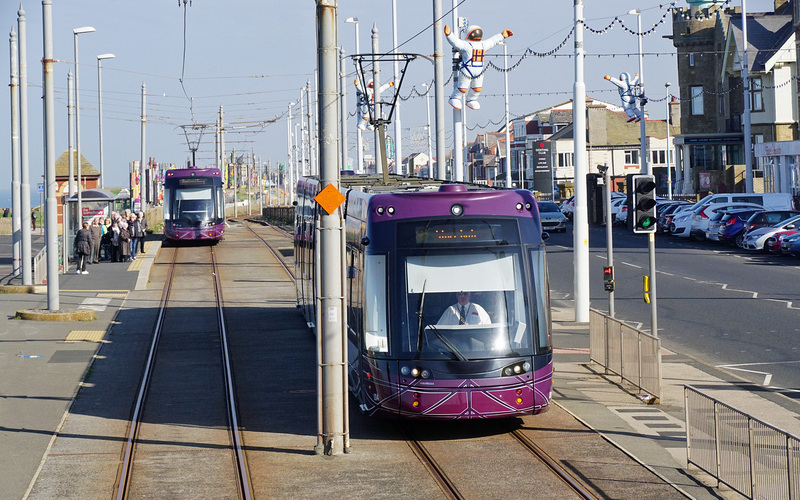 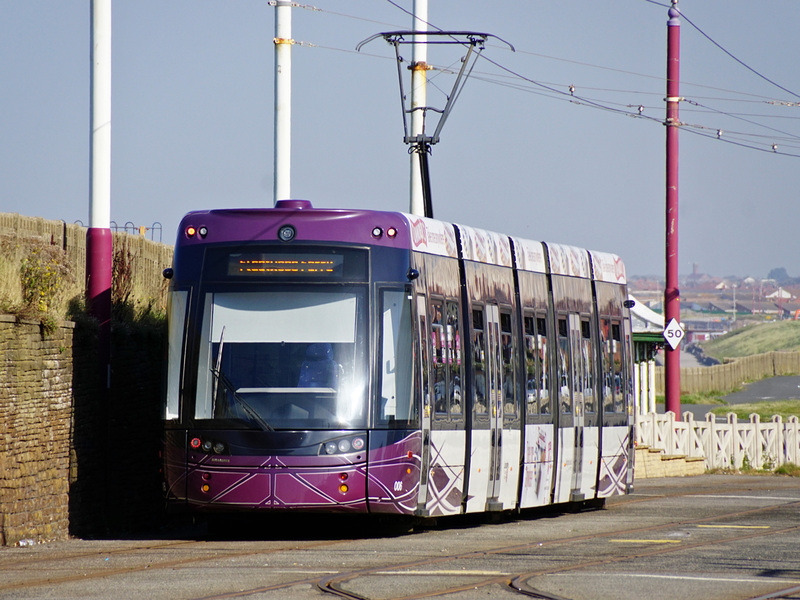 The Blackpool Tramway re-opened in April 2012 following the delivery of a fleet of new trams and substantial renewal of infrastructure. 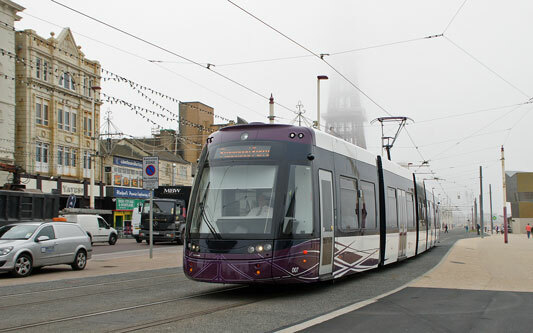 Blackpool Trams Page-4 - OMO Cars - This Page! As part of the upgrade of the entire tramway, 16 new Flexity 2 trams were ordered for use on the tramway. 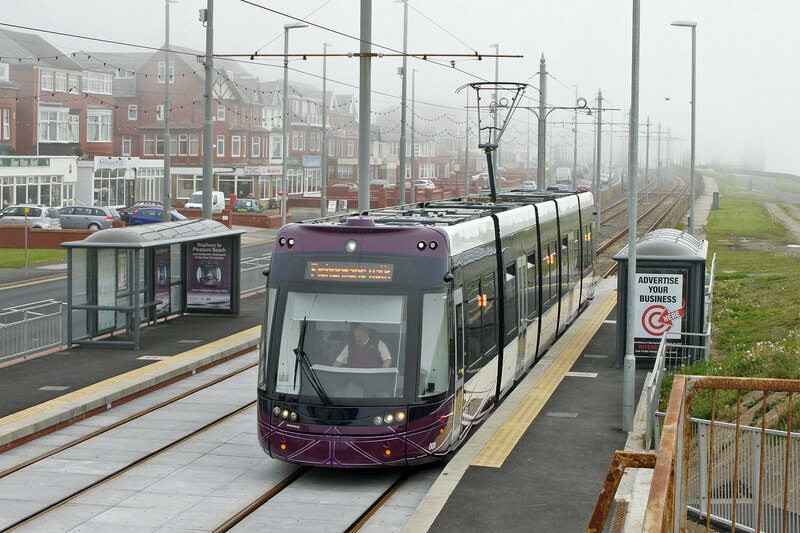 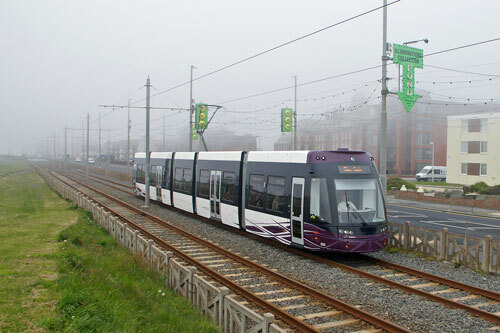 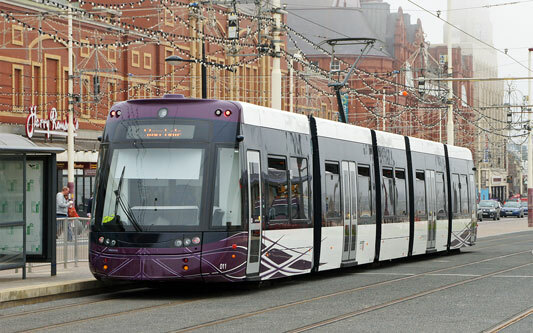 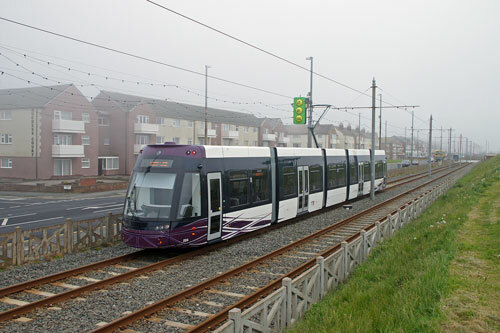 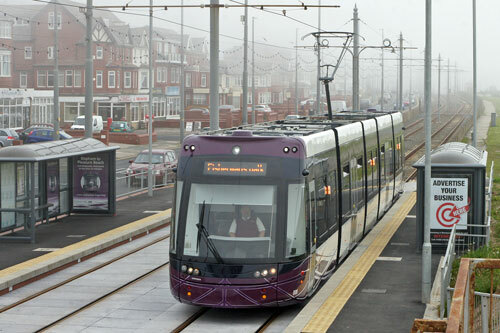 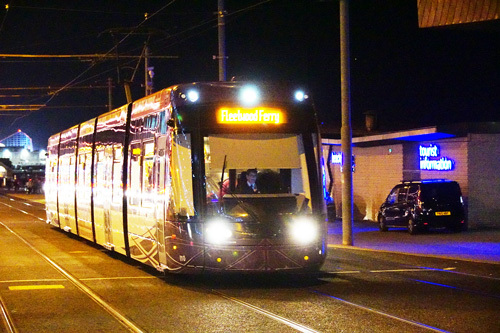 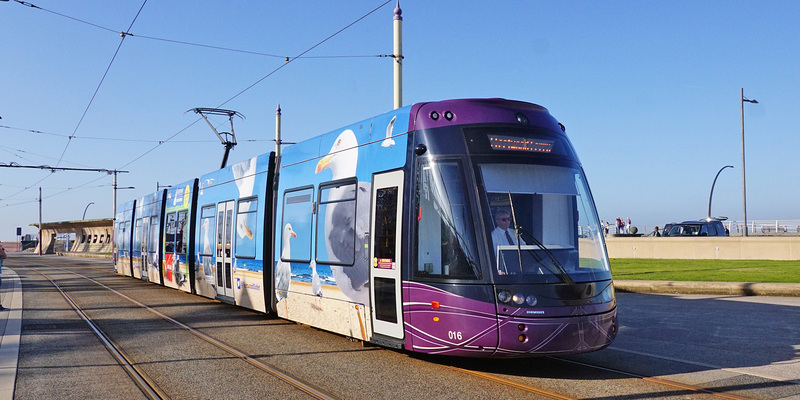 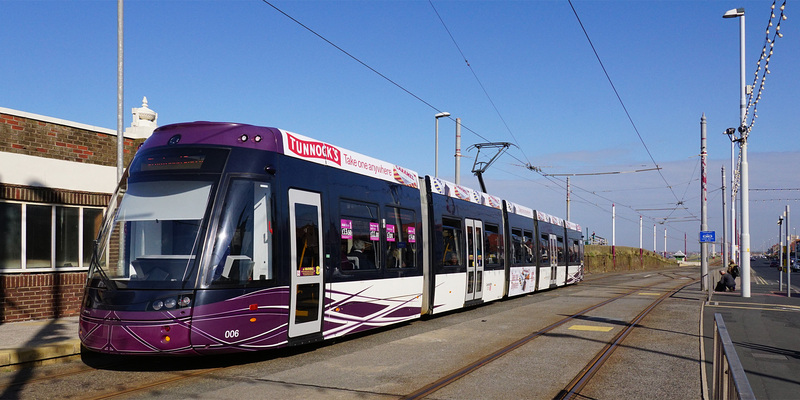 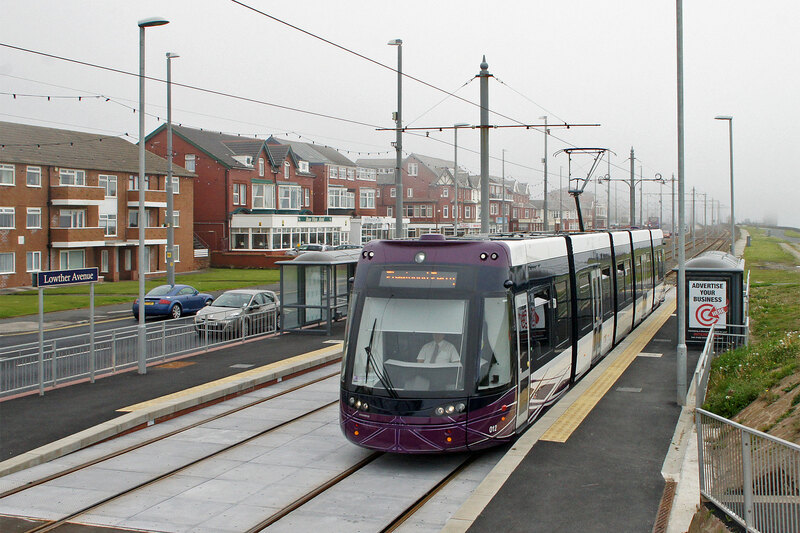 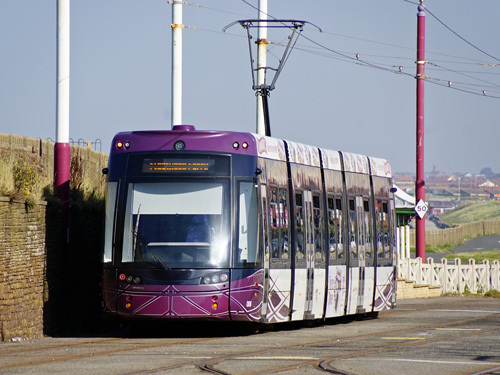 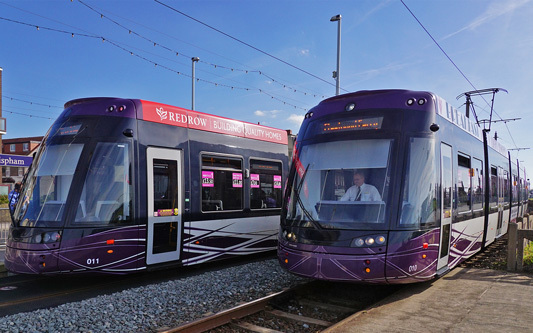 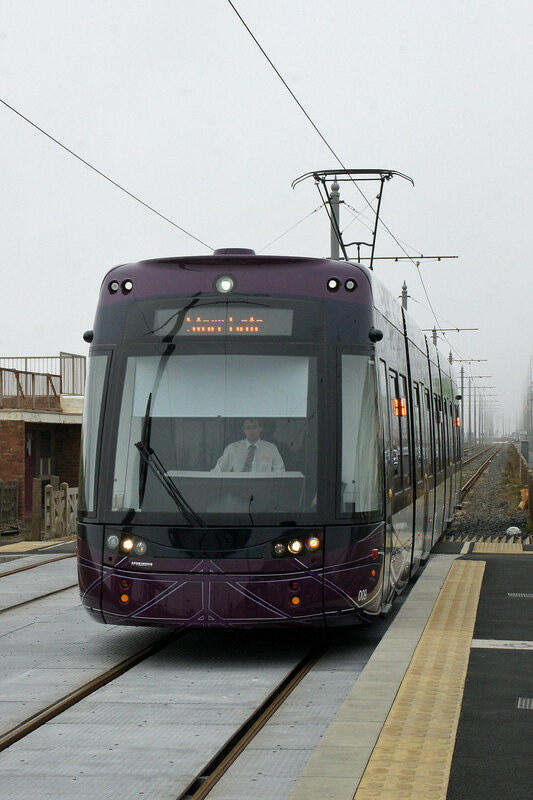 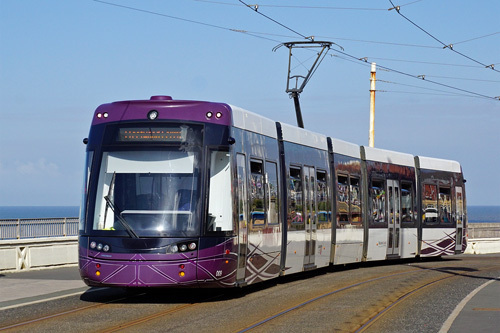 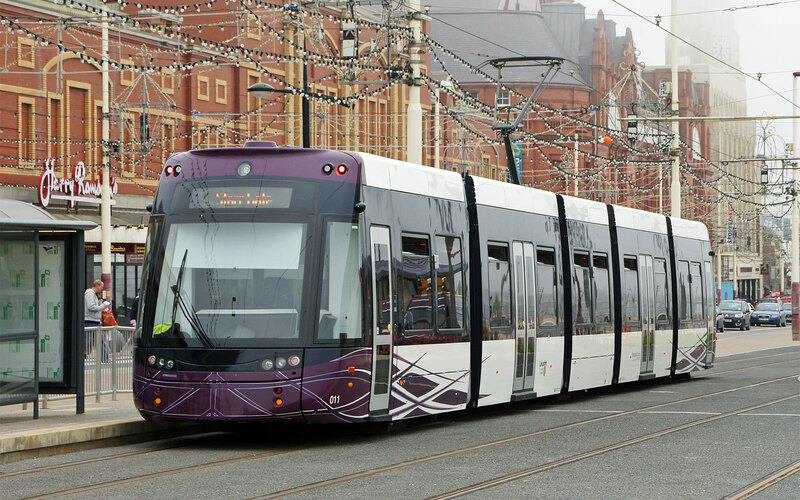 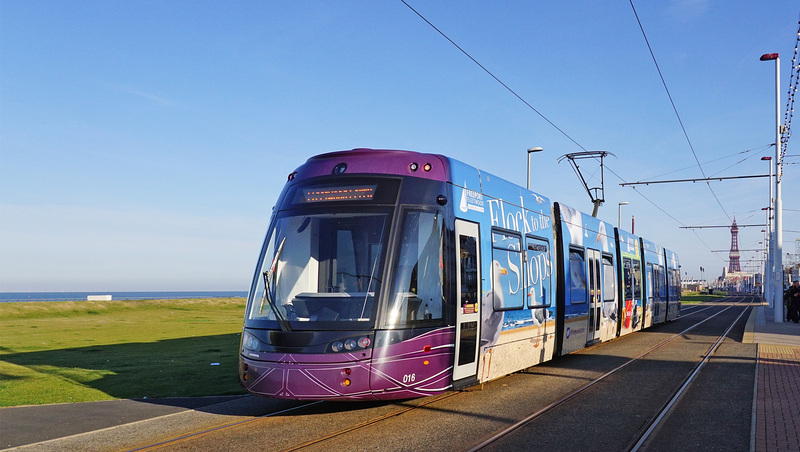 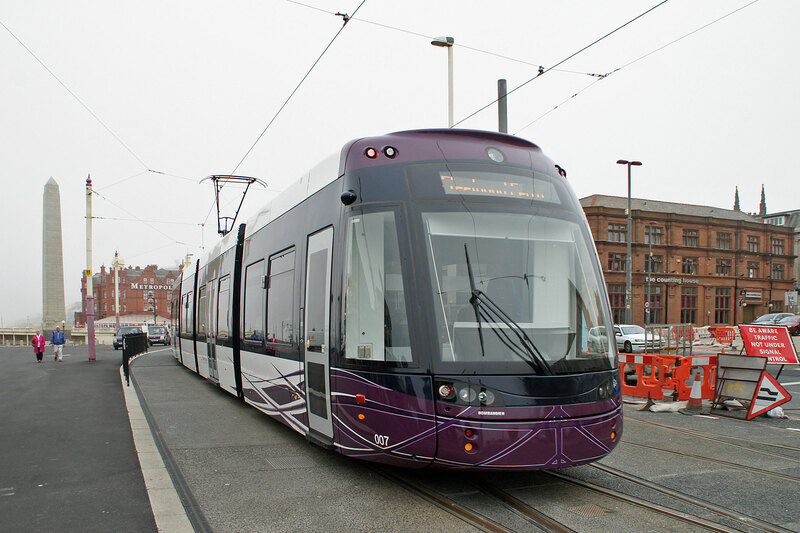 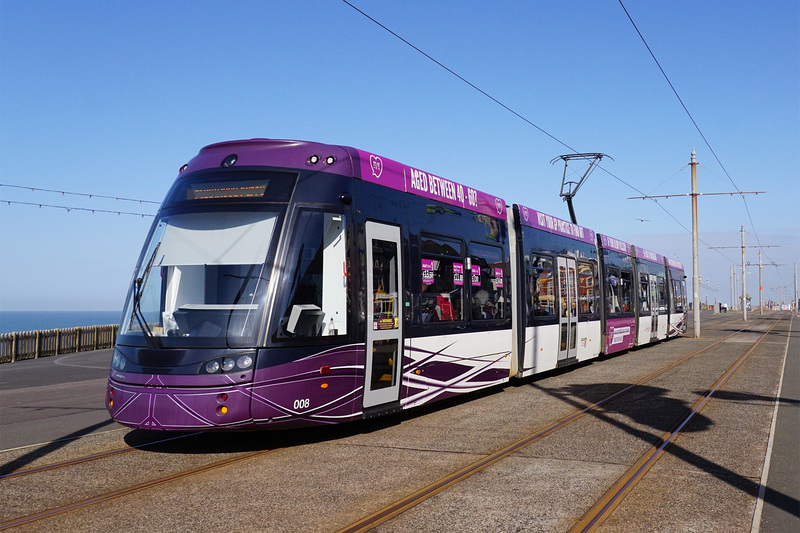 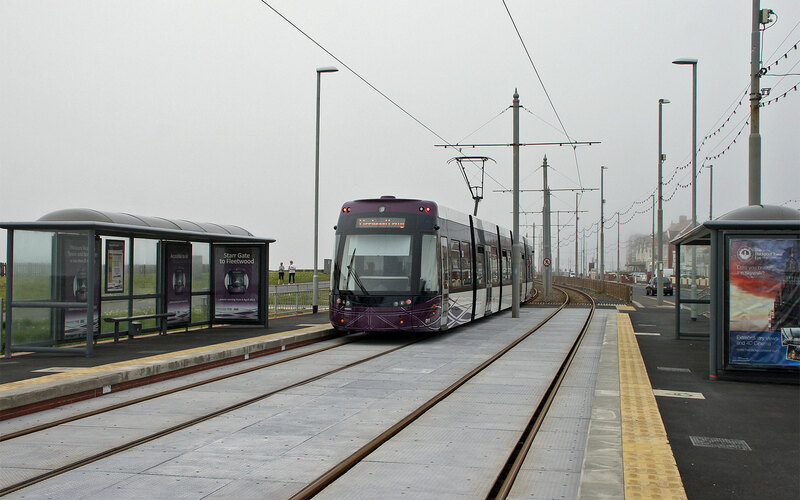 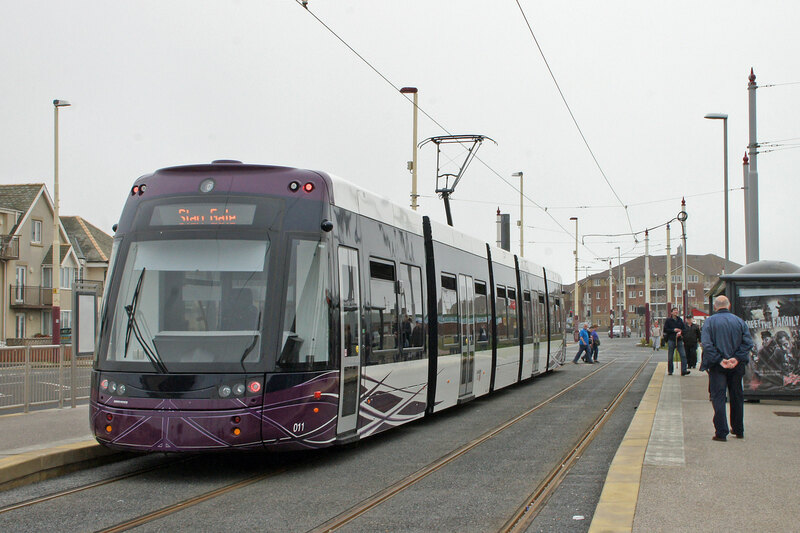 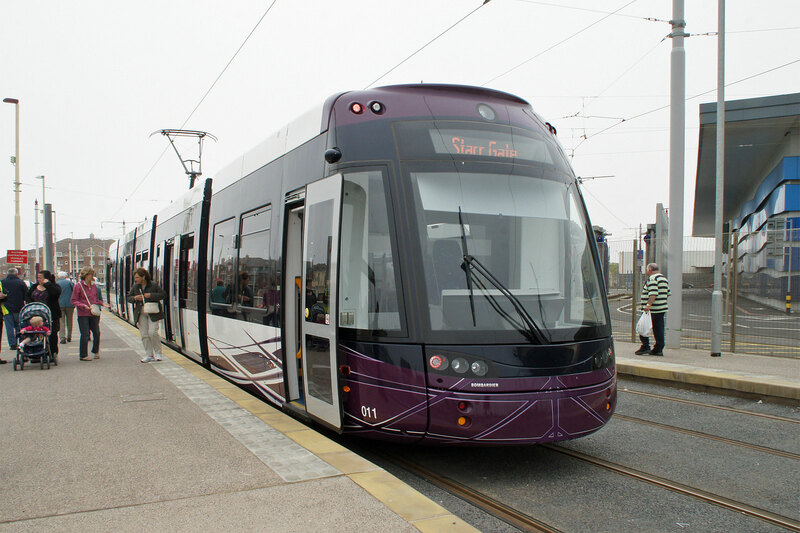 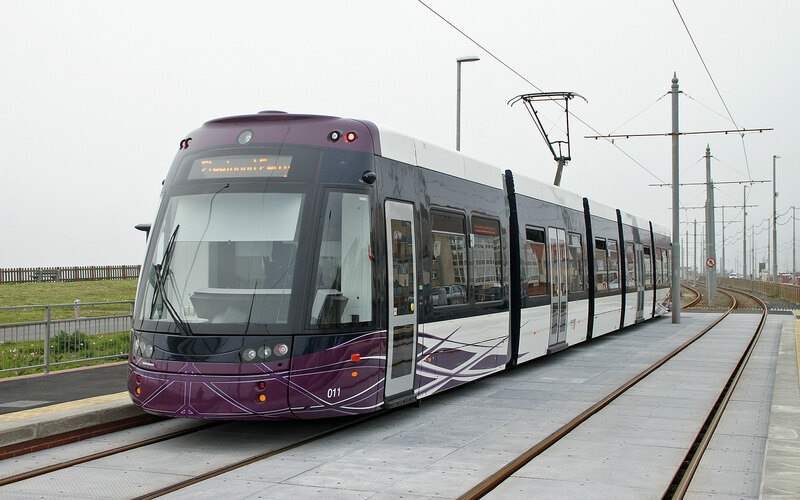 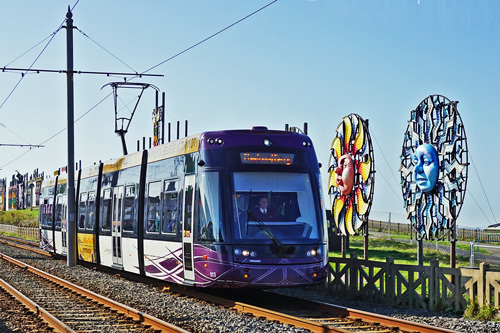 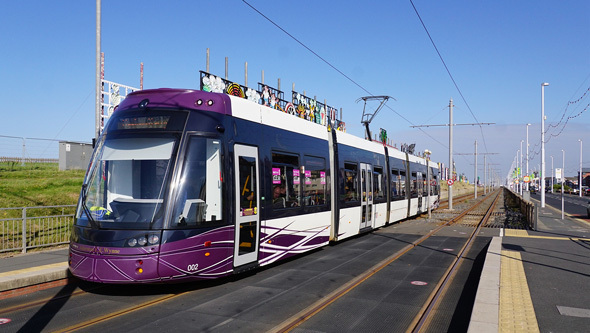 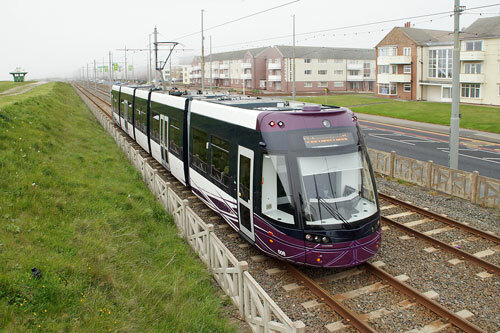 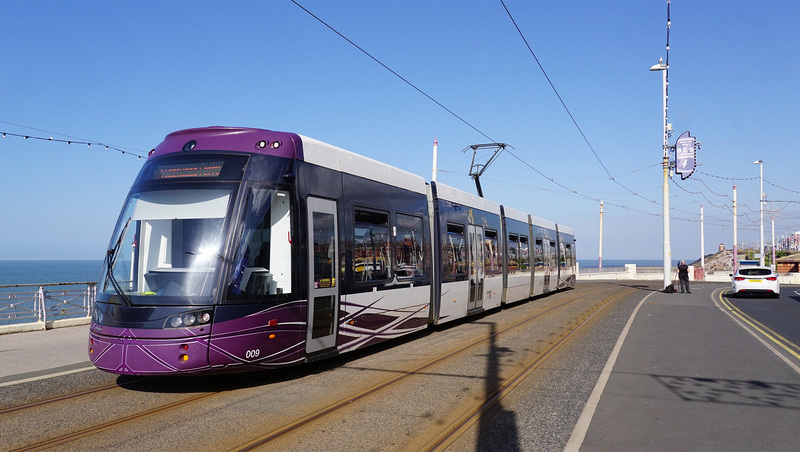 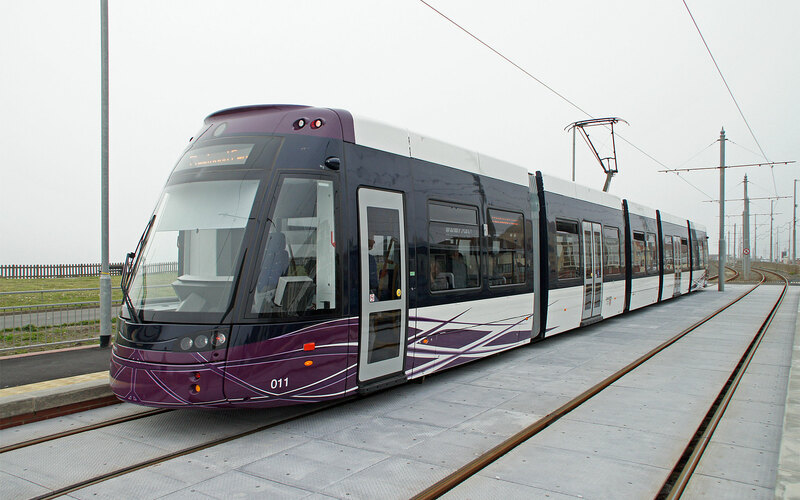 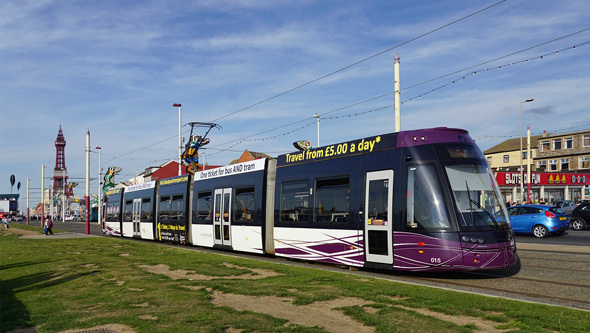 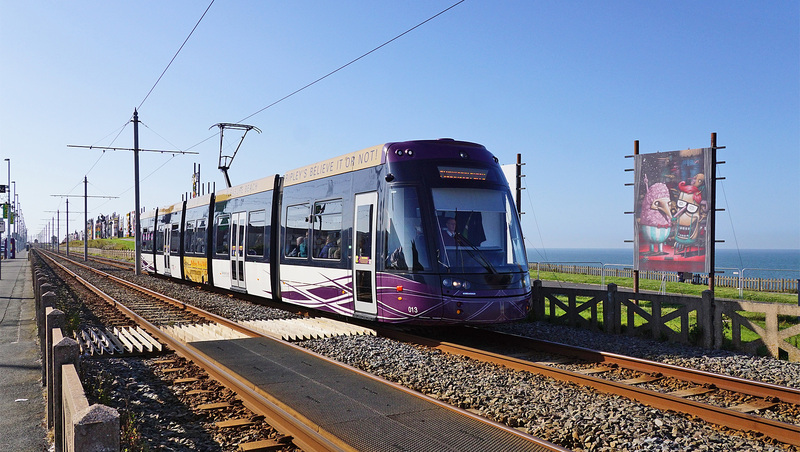 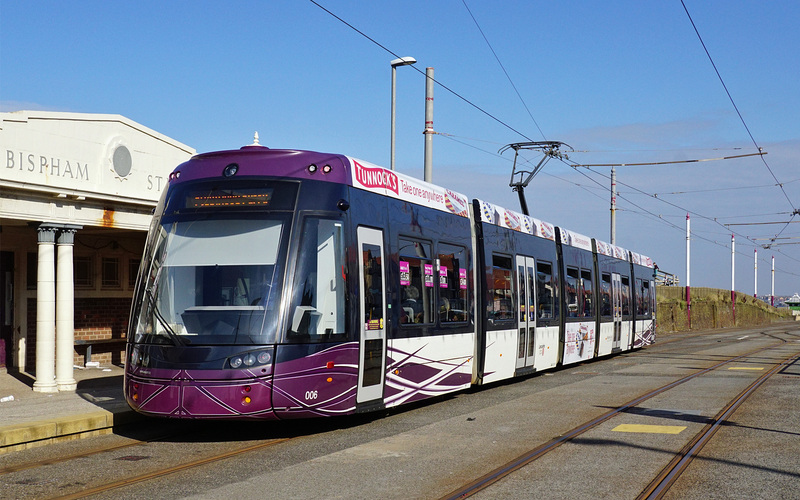 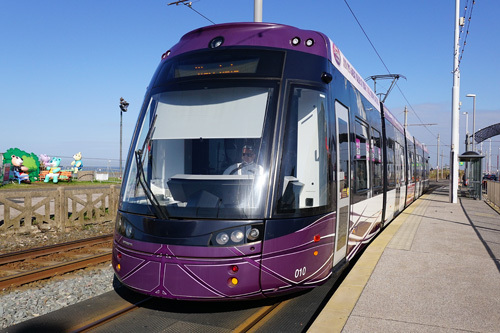 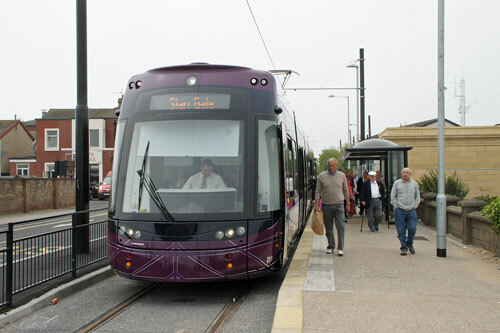 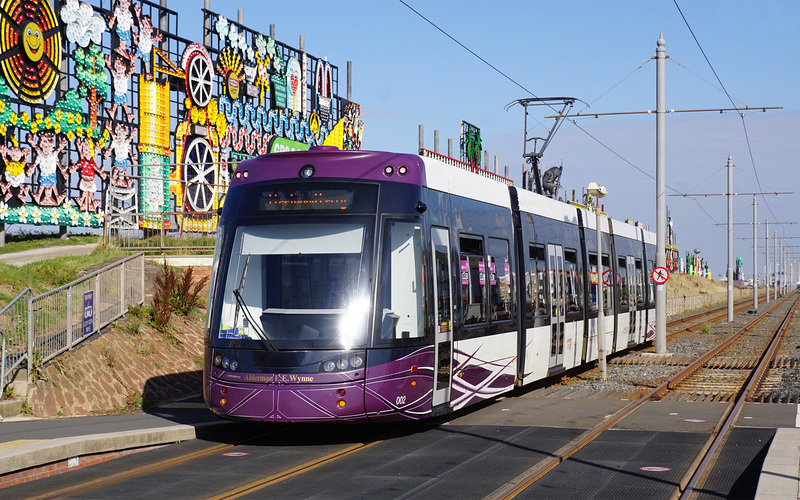 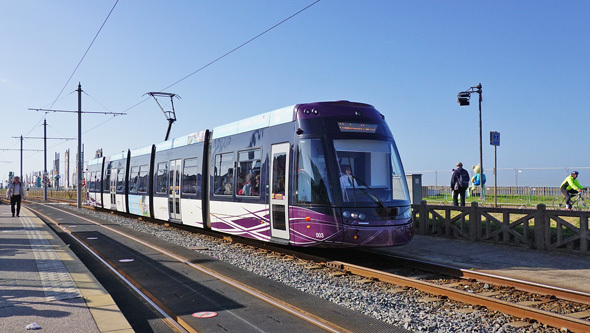 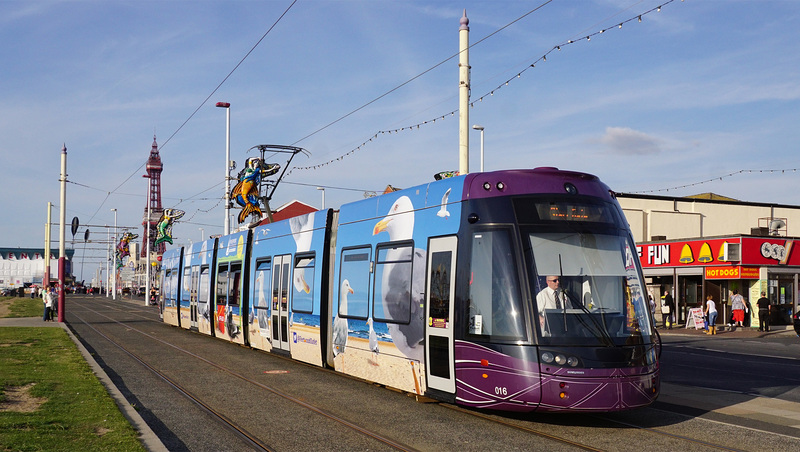 The worldwide launch of the Flexity 2 tram, including showing the first new tram occurred on the 8th September 2011 at the new Starr Gate depot in Blackpool. These state of the art trams include many differences to the original fleet, including 100% step free access from platform to tram, dedicated wheelchair spaces, and a higher seating and standing capacity, as well as faster acceleration and quieter running. 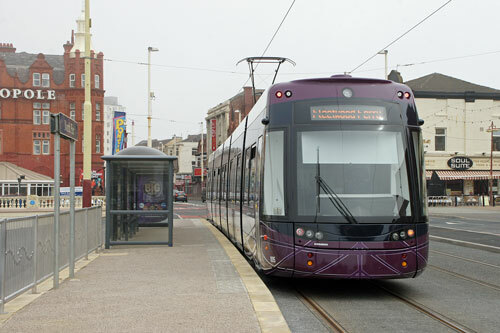 They are also fitted with audio visual 'next stop' displays. 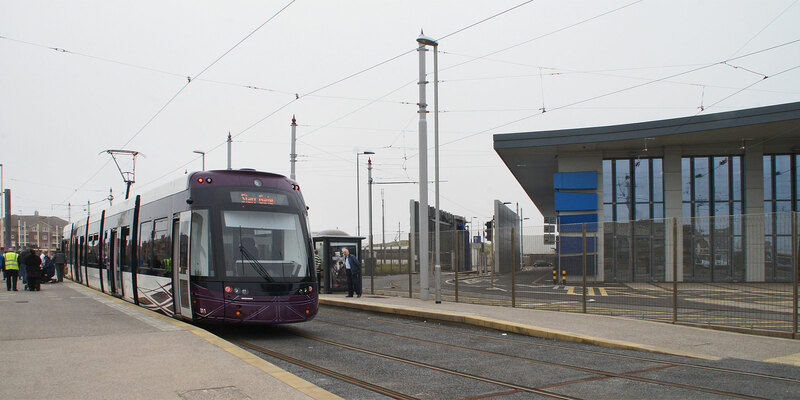 The trams are accommodated at the new depot built at Starr Gate by Volker Fitzpatrick. 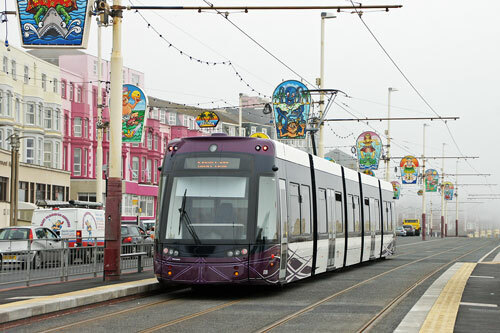 Initially operating unadorned, their purple and white livery was very subdued for Blackpool, where in your face glitz is the norm. 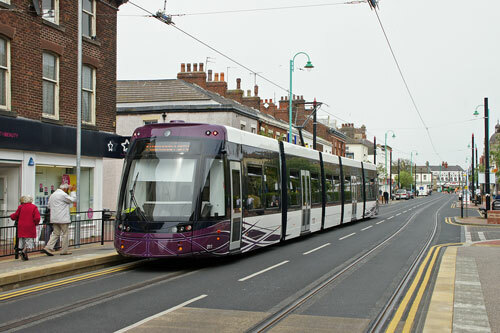 They were soon received with adverts however.